Samsung may be bouncing back after the Galaxy Note 7 debacle last year. Its latest smartphone offering, the Galaxy s8, has garnered some positive reviews, though its durability is being questioned. Consumer Reports this week rated the s8-Plus and s8 at the top of its list of best smartphones, ahead of the iPhone 7. The publication praised both phones' cameras, displays, and battery life. The biggest drawback it cited was the price -- $840 for the Plus and about $720 for the smaller s8. 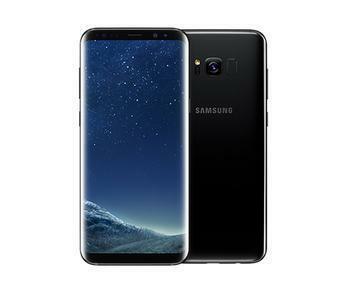 Writing in Forbes, technology contributor Ben Sin followed up on his initial review of the Galaxy s8, written about a week after he started using the phone. While initially unhappy with the location of the fingerprint reader, he now says it's fine, now that he's gotten used to it. At the same time, he writes the iris scanner isn't as good as he first thought. He says his he was initially unimpressed with the s8's software, and still feels that way. Business Insider, meanwhile, notes that some tech reviewers are wondering just how durable the phone will be in everyday use. In the video below, SquareTrade put the phone to a battery of grueling impact tests. While most consumers don't drop their phones on concrete every day, the tests suggest those who do might wish they had a more durable phone. SquareTrade, which incidentally sells buyer protection plans for things like smartphones, reported back in April that the new Samsung phones performed "significantly worse" than their predecessors, the S7 and S7 Edge. “While the nearly all-glass design of the S8 makes it a beautiful phone, it’s extremely susceptible to cracking when dropped from any angle," said Jason Siciliano, vice president global creative director at SquareTrade. That said, Siciliano is pretty much in agreement with Consumer Reports, predicting the s8 duo will be a hit. His advice? If you buy one, just don't drop it.